Did you know that motors use about half of the electricity in the U.S.? From large industrial machines, to commercial equipment, to home appliances, to even our computers and smart phones, motors are everywhere. Unfortunately we don’t have many details on how the energy use is distributed among the motors’ loads because it has been over 15 years since U.S. Department of Energy [no-glossary](DOE)[/no-glossary] commissioned the last national motor study, and the U.S. Census bureau discontinued collecting data about motor imports and sales over a decade ago due to budget cuts. This situation could change if bipartisan legislation introduced by Senators Pryor and Enzi is enacted. The Motor Systems Market Awareness Act of 2014 (S. 2002), introduced February 6th, would direct DOE to conduct a motor and motor-driven systems market assessment to better understand how motors are used. The bill would also require DOE to investigate the opportunities for, and barriers to, improving motor system efficiency (particularly through the use of advanced motors), and to conduct a public awareness program to advance technology choices and market practices that would reduce waste in motor-driven systems throughout the economy. The senators have shown leadership on this important energy efficiency opportunity. Last fall DOE issued a draft rule for larger, poly-phase motors that represents among the largest appliance and equipment standards proposed in the past three decades. As ACEEE’s research has found, opportunities for efficiency advances in conventional induction motors are limited, as those technologies are mature. However, the opportunities for improvements in motor systems improved by technology that continuously matches motor speed to load requirements are huge, with estimates exceeding 25% savings. A key to realizing this opportunity is the application of advanced motors that include technologies such as permanent magnetic, switched reluctance, and written pole motors, and other technologies that make use of advanced power semiconductors to allow motor speed to vary over a wide range while maintaining motor efficiency. These motor technologies are already used in applications ranging from high-efficiency washing machines and home HVAC equipment to electric cars and large industrial machines, and the resulting energy savings have lived up to their promise. 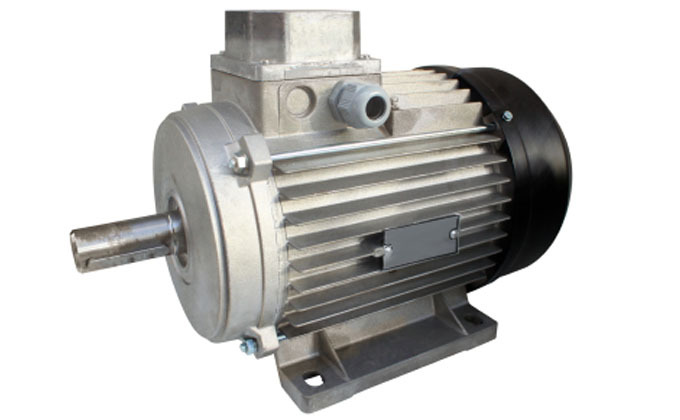 These technologies, however, require that the equipment intended for the motors be specially designed to take advantages of their unique features—a cost that many firms are concerned they can’t pass on to the purchaser. Moreover, both the permanent magnetics and the power semiconductor chips that enable these advanced motors depend on rare earth elements, which are currently in short supply due to the concentration of production in China. This situation is changing, but remains risky due to the possibility of supply interruption. The Pryor-Enzi bill will assess this risk as part of DOE’s study, helping the U.S. develop a strategic plan to ensure stable and affordable supplies of these critical resources. The U.S. is poised to create a more energy efficient future through the application of advanced motor technologies. The senators’ bill would supply the critical information needed by government and industry to create a strategic plan and realize the energy and economic benefits that come from applying advanced technology to motor systems.